But you simply want to focus on providing better health outcomes for your patients. Medicross Medical Pty Ltd™ ‘s core business is to provide quality General Practice Management services to the network of independent medical centres. 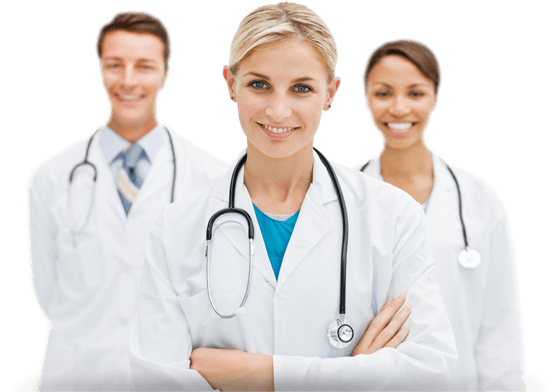 Medicross Medical Pty Ltd™ is a service company to medical and allied health professionals. Comprehensive primary healthcare and related services are offered in our network of medical centres with the focus on quality medicine and excellent client services. We believe in offering the highest level of personal attention to our patients, complemented with the highest quality of professional healthcare in order to maximise the health outcomes. Medicross assists in every aspect of a Medical Centre operations for partner Doctors. Day to day processes that ensure service quality and efficiency, to policies that support best practice procedures across the Medicross network. Medicross partner Doctors benefit from local, personalised service. Medicross assists all our medical centres with HR functions including staff recruitment, performance appraisals, payroll, OH&S requirement, training and development initiatives. Our People are our heart. We recognise that private practice is a business environment as well as a clinical endeavour. Support for the financial and accounting aspects of running a medical centre for our partner GPs. Medicross takes responsibility for managing the commercial burdens of cash flow, inventory, debtors and capital investment. Finance and accounting requirements, including business analysis payroll, accounts payable & receivable, medicare requirements, banking, budgeting and reporting. Medicross provides our Network Medical Centres with the latest technology infrastructure that delivers best practice standards. Hardware provision, IT support professionals, practice software, booking management & website integration. Realise the value created in your practice? Our partner practice owners are freed up from many of the challenges of running a small business. When you join Medicross you have the option to step up or step back or continue what you are doing, all at the pace you choose. Time-consuming administration, such as finance, payroll and human resources functions, is taken care of by our excellent team. First class marketing, operations and training, supplier discounts & supported infrastructure are at your finger tips. Medicross is committed to provide professional practice management outcomes while the Doctors still uphold their clinical independence. The majority of our Doctors joins Medicross by means of referrals as they enjoy our flexible approach to good evidence based primary care. Medicross provides a variety of Practice acquisition models that may suit you, and opportunities to join supportive group practice environments. Medicross welcomes and invite good quality General Practitioners to join our family friendly network of health professionals. Medicross helps remove the personal risk associated with running a medical practice. We have built a system of quality controls to minimise the financial risk and legal liability involved in running a medical centre. Medicross can manage the property, leasing and sub-tenancy arrangements for each medical practice. Maintenance, repairs and periodical site refurbishments. Many of our sites provide additional health services such as Pharmacy, Pathology Collection and Allied Health Services. Medicross works in partnership with Doctors to provide ethical, accessible community based healthcare services. We guarantee GP’s clinical independence and aim to facilitate the best possible health outcomes for patients. As a partner Medical Centre we create more work life balance for you. by providing support and infrastructure services. You can focus on what you enjoy whether it be providing better health outcomes for patients or hopping on that plane to Spain.